Welcome to our casual side. Luigi’s Lounge is a hidden gem in Lethbridge’s dining and entertainment scene. With 10 HD TV’s throughout the space, patrons can enjoy an excellent meal, cold beverage and good entertainment in comfort and class. 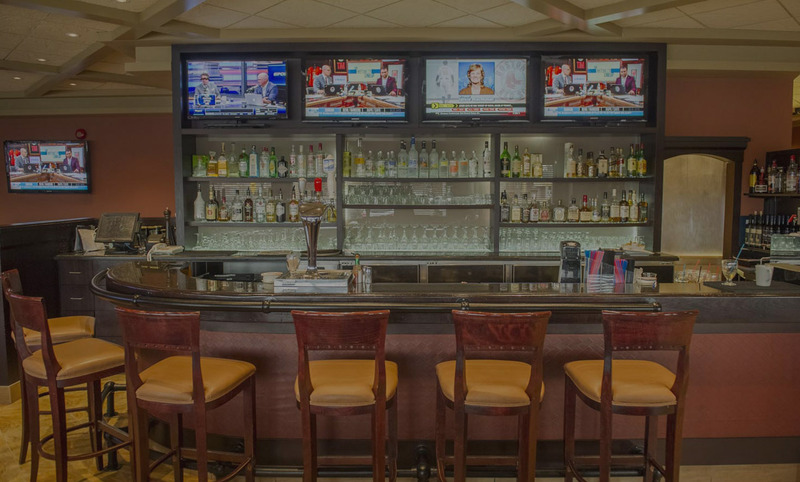 We’re always featuring sports events, games and local news as well as good company and conversation from the lounge staff. Regardless of your mood or craving, you’ll find it satiated at Luigi’s Lounge. Luigi’s Lounge features it’s very own special menu with awesome food and drink items always on special, 7 Days Per Week! Available 5:30pm - Close. Cheeseburger and Pint of Beer. Available all day. 'AAA' 6oz Top Sirloin Steak. All 6oz and 8oz glasses of wine. Available 5:30pm - Close. Purchase a domestic pint of beer and receive half of small pizza. Available 3:00pm - 5:00pm Happy Hour Pricing. Available 8:00pm - Close. Entire Cocktail Menu Section. Available all day. All Lounge Appetizers & Select Bottles of Wine.